If there’s anyone who knows his way around the highest levels of motorsport, it’s ex-Formula One driver and current Le Mans prototype driver Anthony Davidson. Davidson’s No. 5 Toyota TS050 team was the gut-wrenching headline of Le Mans this year, and he’s here with us now to answer your questions. Davidson is no stranger to hard luck. 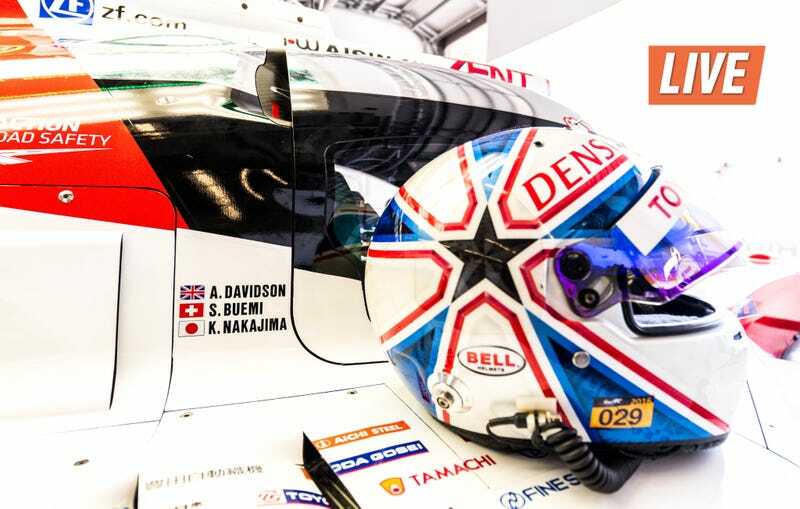 Both Davidson and his Toyota team were preparing themselves for their first-ever 24 Hours of Le Mans win this year only to have a connector failure take out the No. 5 car in the last minutes of the race. More recently, a rib injury kept him from racing in the 6 Hours of Mexico. Davidson has finished second at Le Mans before, and he won the World Endurance Championship in 2014. He’s also been in one of the scariest airborne wrecks at Le Mans in recent history. That just makes him all that much thirstier for the win. It’s about time! Davidson’s back again to answer more of your questions about the WEC, F1, or even his preferred kind of breakfast scotch, if you’re really curious. What’s the team up to for next year? How will they bounce back in 2016? Formula One teams to watch next year? Chicken or duck? Whatever’s on your mind, ask now!